When the next financial crash comes, many economists, financial advisers and the media will be alarmed, but none of them should be surprised. The warning signs are everywhere. In early May, Puerto Rico filed for bankruptcy, the biggest bankruptcy in the history of the American public bond market. Puerto Rico defaulted on $123 billion. Its public pension plans are set to run out of money this year, so those funds will issue no more payments, or those payments will get smaller. To ordinary Americans, Puerto Rico’s problems may feel as distant as the island is to the mainland, but all 50 states share the same problems. Debt can hide financial problems for a long time, and it has been hiding the states’ public pension crisis. On May 15, Hoover Institute published a report by Joshua Rauh showing that state and local governments are beginning to understand just how much they owe for pensions. In other words, the state and local governments the report investigated owe their public retirement funds almost three times more than they say they do. According to the report, even though accounting standards were adjusted in 2014 and 2015 to better reflect the financial health of local and state governments, a flaw remained. As employees contribute to their pension plans, that money was then invested by the government. State and city governments were allowed to account for a 7.6 percent return for investing their pension funds, which means the money it invests doubles every 9½ years. 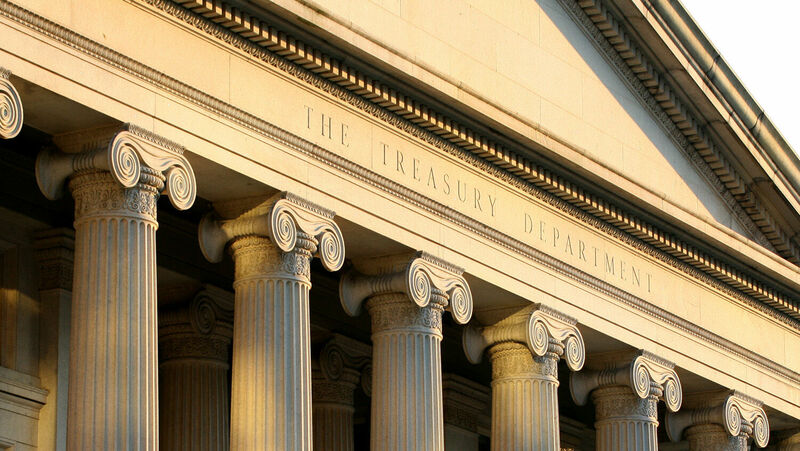 If a retired government worker is scheduled to receive a $100,000 payment in 2026, these accounting practices consider the debt to be “fully funded” as long as the government sets aside $50,000 in 2016. The idea works—as long as the investment earns at least 7.6 percent. But as the report states, safe investments yield only around 2 percent per year over a 10-year period. A 7.6 percent rate of return is almost quadruple that figure. To earn such a high rate of return requires risky investing. After the accounting changes, some pension systems reduced their expectations on the rate of return, but only down to 7.36 percent. It gets worse. Because of these accounting standards, when states borrow money, they do not have to list this pension debt for what it is—actual debt. The report used a mortgage to illustrate what exactly is happening. Imagine you want to take out a mortgage on a house and need to disclose all your assets and liabilities, such as debt. You have a $100,000 debt due in 10 years. But you only have $50,000. You are investing that money in the stock market, and you plan to double your money in 10 years. So you don’t tell the bank that you are actually $50,000 in debt. If you did this, you would be committing financial fraud. But the government gets away with it. The report stated that the contributions for all state and local governments in the U.S. for 2015 were 4.9 percent of revenue, $111 billion out of about $2.3 trillion. But because the returns fell shorter than expected, the fund was short by $182 billion. Their investments only returned 2.87 percent, far lower than the 7-plus percent returns they were counting on. In order to make up for the shortfall, the report concludes that all state and local governments would have to contribute 18.2 percent of all state and local tax revenue to keep just the pension debt from rising. That’s not even to pay it down! The $3.8 trillion debt isn’t going anywhere soon unless state and local governments take drastic measures—the kind of painful ones that will make angry voters vote a politician out of office. When this debt bubble bursts, Puerto Rico won’t even be remembered. For information on how to face facts in your own financial situation and how to overcome debt, read our free booklet Solve Your Money Troubles!